Yu-Gi-Oh! 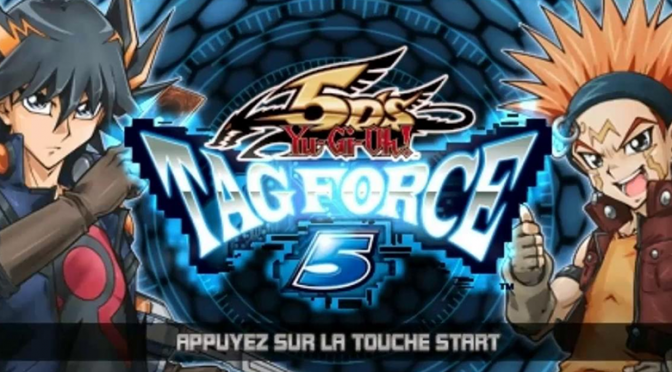 5D’s Tag Force 5 is the fifth installment of the Yu-Gi-Oh! 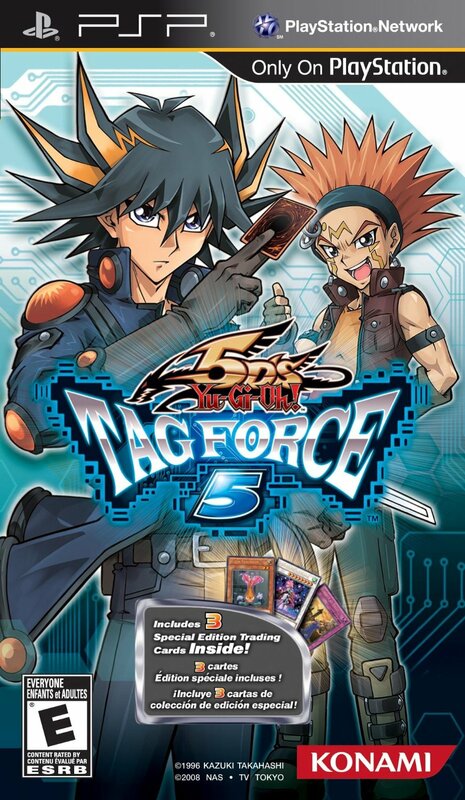 Tag Force series. The game uses the Yu-Gi-Oh! Official Card Game Master Rules. Unlike the real game, it includes many cards that have appeared in the anime, that haven’t been released in real life, the Dark Synchro Monsters and Egyptian Gods effects and rules are closer to their anime than real life counterparts. The game follows the March 2010 Forbidden and Limited Lists by default. Welcome to the Yu-Gi-Oh! 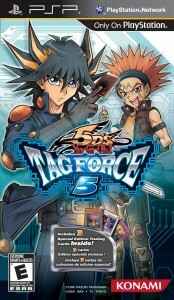 5D’s Tag Force 5 cheats page. Here you will find everything you need to help with the game including detailed walkthroughs and guides, hints and tips, cheat codes and unlockables. Unlocking by defeating 50 times of certain characters in the game, then partner with them and go to Martha’s place. Speak her and choose the second option, the day will end and find your partner there should have changed his/her costume also his/her hearts will reset and uses different deck type. The following characters can be unlocked by completing other characters’ stories.